Interested in becoming part of the UHCA community? Read on to learn about all the exciting benefits enjoyed by members. Save money! Members receive a $10 discount on entry fees. Eight events X $10 savings per event, equals $80 savings. More if you compete in more than one division. Be heard! Members over the age of 17 have the opportunity to vote on any association motion presented to the general membership. Compete for year-end awards! Only members (who compete in at least 5 events) are eligible to compete for buckles, prizes and recognition which are presented to the top 10 riders in every division at the annual general membership meeting and banquet. Make new friends! Join a community of like-minded individuals that value camaraderie, horsemanship, and sportsmanship and that genuinely enjoy spending time with their horses. Gain a new perspective! Observe your horse transform into a whole new breed of all-around horse while improving responsiveness and acceptance. Stay informed! As a member, you’ll receive UHCA news and updates direct to your inbox. You’ll be the first to know about upcoming events, clinics, rule changes and more. Track your points online! Only members can access the Year-End Point tracking section of the website. Take the lead! Only members are eligible to serve on the Board of Directors and shape the future of the organization. Become a host! Only members are allowed to host a UHCA sanctioned event. There are many fantastic reasons to join UHCA, however, you do not have to be a member to compete in a UHCA Event. UHCA offers several membership options. Every rider who wishes to complete for year-end awards must have their own membership. Membership includes registration of one horse in one division. Additional horses or additional divisions may be registered for point tracking and year-end awards by paying an additional fee. (2 adults living in the same household and unlimited youth, age 17 and younger, as of January 1st of competition year in immediate family) Each member of the family can register for 1 horse in 1 division. Each additional horse or division still requires the additional horse or division form and payment. By contributing a one-time fee of $450, individual receives free annual membership for life and a plaque in addition to the satisfaction of knowing your long-term support will help ensure the UHCA continues to thrive well into the future. Lifetime members will be recognized at the annual membership meeting and awards banquet the initial year of membership. Lifetime members do not pay membership fees in subsequent years and membership includes one horse in one division each year. Refer to the UHCA Handbook for additional membership benefits and requirements. UHCA welcomes riders of all levels, providing eight challenge divisions allowing riders to compete against others riding at a similar level. Join UHCA or renew your membership online using the buttons above or via mail using the forms that can be downloaded below. To join UHCA or register an additional horse or for an additional division, download the applicable forms below. Type in your information, print, sign and mail with payment to the address listed on the forms. Save time at the next race by downloading the UHCA Event Registration Form now. Simply type in your information, print, sign, and bring to the race registration table. The form and your information can be saved to your computer and printed again for the future races. Having trouble downloading forms? You may need to download the latest version of Adobe Reader. 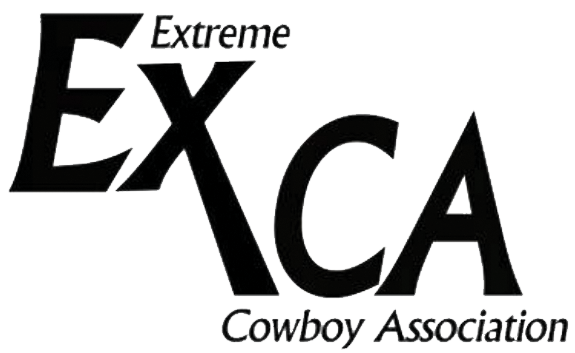 UHCA Events are co-sanctioned with the Extreme Cowboy Association (EXCA) and EXCA members can receive qualifying points. In order to receive EXCA points at a UHCA Event, the rider must be a member of EXCA and pay a $15.00 fee for points transfer. If you are an EXCA member, please include your EXCA membership number and division on the Event Registration Form. ©2008-2018 Ultimate Horsemens Challenge Association. All rights reserved.